Look, nobody said that the zombie apocalypse doesn’t have to be fun. There’s plenty for you to do while you wait to die of dysentery, such as MacGuyvering your very arsenal of weapons. 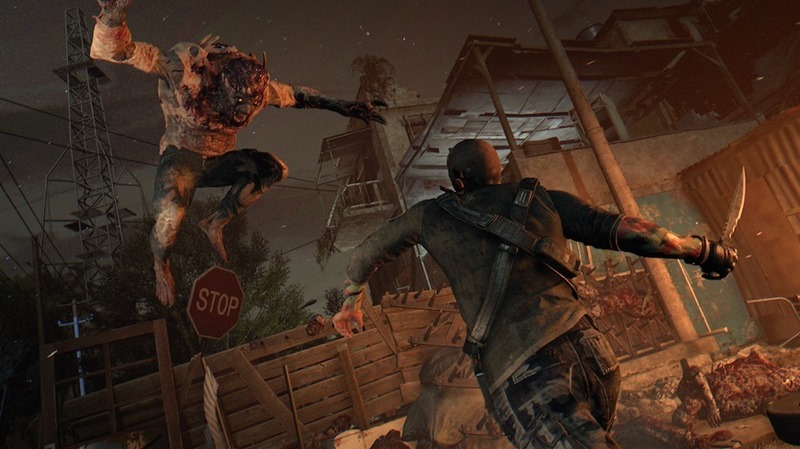 In Dying Light, there are tons of those weapons, just waiting to be used. But to get them, you’ll need some blueprints, string, batteries, chewing gum and a midget corpse. Here’s how you can find all of that. Except for the midget corpse. I ain’t touching that. If you’re looking for something specific, CTRL+F is your friend here. Otherwise, the list is alphabetically arranged. Effects: Adds Electricity Level 2 on Police Baton, Crowbar, and Military Shovel. Location: Buy it from Upper Tower Store as an item of the day. Effects: Adds Level 1 Toxicity on melee weapons. Effects: Adds Level 2 Electricity and Level 2 Toxicity on Sickle, Cleaver, Khopesh, Machete, Two-Handed Sword, Short Sword, and Blade. Location: Old Town, after completing alll of Rupert’s quests. Once the “Troll” quest is complete, talk to him in his workshop to get it. Effects: Adds Level 2 Burning and Electricity on Khopesh, Machete, Blade, Short Sword, and Two-Handed Sword. Effects: Adds Level 2 Impact and Burning on Cleaver, Khopesh, Sickle, Machete, Short Sword, Two-Handed Sword, and Blade. Effects: Adds Level 2 Bleeding and Toxicity to Wrench, Small Hammer, One-Handed Axe, and Pick. Effects: Adds Level 2 Bleeding to Military Shovel, Cleaver, Blade, and Short/Long Knife. Effects: Adds Level 1 Electricity to melee weapons. Effects: Adds Level 2 Bleeding to Small Hammer. Location: Old Town, University. Go to where Spike is and look in the room next to him to find it on the counter. Effects: Adds Level 2 Toxicity to Two-Handed Axe, Two-Handed Hammer, and Pickaxe. Effects: Adds Level 2 Impact on Cleaver, Two-Handed Sword, Sickle, Blade, Short Sword, and Khopesh. Effects: Adds Level 2 Toxicity to Crowbar. Effects: Adds Level 2 Electrician to Wrench and Small Hammer. Location: Slums, during the “Voltage” quest. Go into the three substations to activate power for a part of the city and you’ll find a green box that you can open to find the blueprint. Effects: Adds Level 2 Bleeding and Electricity to Long/Short Knife. Effects: Adds Level 2 Electricity to Two-Handed Sword, Two-Handed Hammer, Two-Handed Axe, One-Handed Axe, Pickaxe, and Khopesh. Location: Reach Survivor Rank 7 and buy it from any shop as an item of the day. Effects: Adds Level 1 Impact on melee weapons. Effects: Adds Level 2 Bleeding and Toxicity to Long/Short Knife. Effects: Adds Level 2 Impact and Burning to Wrench, Crowbar, Baseball Bat, One-Handed Axe, Police Baton, and Small Hammer. Effects: Adds Level 2 Burning to Short Sword, Machete, Khopesh, and Two-Handed Sword. Effects: Adds Level 2 Bleeding to Short Sword, Two-Handed Sword, Machete, Khopesh, and Sickle. Effects: Adds Level 2 Bleeding to Two-Handed Axe, One-Handed Axe, and Pickaxe. Effects: Adds Level 2 Burning and Electricity to Pipe, Police Baton, Crowbar, and Baseball Bat. Effects: Adds Level 2 Burning and Electricity to Two-Handed Hammer, One-Handed Axe, Two-Handed Axe, Small Hammer, and Pickaxe. Effects: Adds Level 2 Electricity and Burning to Wrench, Pick, Military Shovel, and Cleaver Sickle. Effects: Adds Level 2 Impact on Long/Short Knife. Effects: Adds Level 2 Impact and Burning to Long/Short Knife. Effects: Adds Level 2 Burning to Two-Handed Hammer, Pickaxe, and Two-Handed Axe. Effects: Adds Level 2 Bleeding and Electricity to Military Shovel, Wrench, Small Hammer, Pick, One-Handed Axe, Cleaver, Sickle, Short Sword, and Blade. Effects: Adds Level 2 Impact to Pipe, Police Baton, Crowbar, Military Shovel, Wrench, Small Hammer, Pick, One-Handed Axe, and Baseball Bat. Effects: Adds Level 1 Bleeding to melee weapons. Effects: Adds Level 2 Burning to Long/Short Knife. Effects: Adds Level 2 Bleeding and Toxicity to Two-Handed Hammer, Pickaxe, and Two-Handed Axe. Effects: Adds Level 2 Toxicity to Police Baton. Effects: Adds Level 2 Toxicity to Short Sword, Two-Handed Sword, Machete, and Khopesh. Effects: Adds Level 2 Toxicity to Wrench, Small Hammer, and Pick. Effects: Adds Level 2 Toxicity and Burning to Wrench, Small Hammer, One-Handed Axe, Pick, Cleaver, Sickle, Short Sword, Blade, and Long Knife. Effects: Adds Level 2 Bleeding to Two-Handed Hammer. Effects: Adds Level 2 Electricity to Pick, Cleaver, Sickle, Short Sword, and Blade. Effects: Adds Level 2 Bleeding to Baseball Bat and Pipe. Effects: Adds Level 1 Burning to melee weapons. Effects: Adds Level 2 Impact to Two-Handed Hammer, Pickaxe, and Two-Handed Axe. Effects: Adds Level 2 Toxicity to Long Knife, Short Knife, Sickle, Blade, Military Shovel, Cleaver, and One-Handed Axe. Effects: Adds Level 2 Bleeding and Electricity to Machete, Two-Handed Sword, and Khopesh. Location: Slums, go the top of the bridge, past the safe house and to the very top to find it. Effects: Adds Level 2 Electricity and Toxicity to Wrench, Small Hammer, Pick, One-Handed Axe, Crowbar, Baseball Bat, Police Baton, and Military Shovel. Effects: Adds Level 2 Electricity to Long/Short Knife. Effects: Adds Level 1 Bleeding and Electricity to Pipe and Baseball Bat. Effects: Adds Level 2 Bleeding and Toxicity to Short Sword, Two-Handed Sword, Machete, Khopesh, Sickle, Blade, and Cleaver. Location: Slums, found during the “On The Hook” quest when you are in the warehouse looking for hooks. Use your survivor sense to find it on sitting on a shelf. Effects: Adds Level 2 Electricity to Baseball Bat. Location: Slums. During the First Assignment mission, check the office, next to where you restore power. Effects: Adds Level 2 Electricity to Pipe. Location: Slums, during the mission “Pact With Rais”. Talk to a man named Jaffar, go to his garage and you’ll find the blueprint on a table. Effects: Adds Level 2 Burning to Wrench, Small Hammer, One-Handed Axe, Pick, and Cleaver. It adds Level 2 Electricity and Burning to Long/Short Knife. Effects: Adds Level 2 Burning to Police Baton, Baseball Bat, and Crowbar. Location: Slums, beat the side-quest “The Prodigal Son” to get this as a reward from Alexi. Effects: Adds Level 2 Electricity to Machete. This guide will be updated regularly, so like F5 or something. Or bookmark it. That’d be cool. Next article Is Erron Black your next Mortal Kombat X fighter?